Live it! 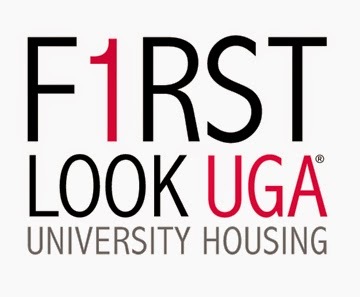 UGA Housing: First-Years: Share your F1RST LOOK at UGA! 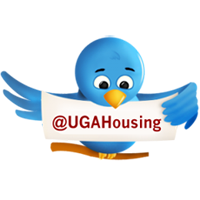 First-Years: Share your F1RST LOOK at UGA! In the coming weeks, you’re going to have a lot of firsts: your first night sleeping in a residence hall, your first time eating in a dining hall, your first time meeting your roommate, or your first time exploring your new college campus as an accepted student. Last year, we were able to follow Krista, a first-year student from Villa Rica, Ga., as she went through orientation and moved in to Oglethorpe House. This summer, we’re hoping you’ll take a look at Krista’s first 24 hours at UGA and share some of your own! Get ready to experience a lot of amazing UGA firsts. From our five finalists, a randomly selected grand prizewinner will receive a generous welcome basket for their room courtesy of University Housing... just in time to prepare for our 2014 Room of the Year and Best Video Tour contests. *Not currently active on social media? Don’t worry! Snap your pic and send it to us via email at hsgcntst@uga.edu with a brief description and #firstlookuga in the subject line. So what are you waiting for? What’s going to be your #firstlookuga experience?